If you are planning to travel from Sofia airport, it is important to think everything through before you set off. So that you are not worried for your vehicle while you are away, you can book a parking space in advance for Sofia airport parking, which is reliable and offers secure and convenient solutions. On our website, you will find both for a much better price, and most importantly, you can book in advance. Sofia Airport Parking offers good parking choice at affordable prices. There is no extra charge for booking in advance and this is the only way you can guarantee a parking space before travelling! Our online booking system is available 24 hours. To get a quote for each parking options, just enter the dates and times you are travelling and wish to park for. A number of different options and prices will then be presented and you can decide which is best for you. Press “Book” and complete the booking form. Once the booking is made, you will receive a confirmation by e-mail which you would need to print off. Sofia Airport is the busiest Bulgarian airport. The airport serves many regular, seasonal and charter flights for the airlines operating in Europe and the rest of the world. Only in 2012 the airport served approximately 3.5 million customers. 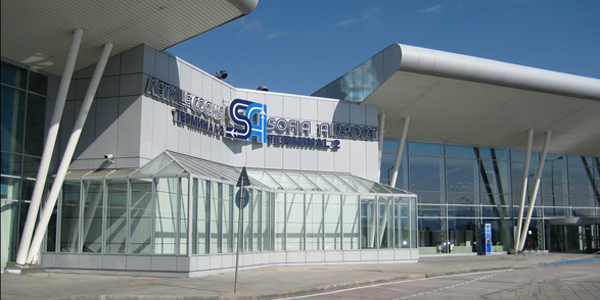 During the summer season of 2013, Sofia Airport offers convenient direct flights to 43 destinations from Sofia to other European capitals as well as the biggest international airports. The airport is served by 27 airlines (Alitalia, British Airways, Lufthansa, Wizz Air, etc.). The most popular destinations are London, Vienna, Paris and Bulgarian resort Varna.